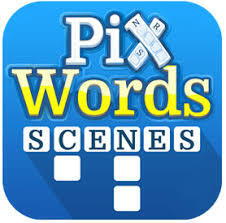 PixWords Scenes Answers, Cheats and Solutions. If you like pics, word association games and crosswords, this game is for you! I bet you have tried to get the answers on other websites, but some of the words are missing. Our website is the only place where you will find all the answers to all levels. The level number is random, so the only way to get the answers is to search for the picture where you are blocked. In each of the links you will find 10 pictures. If you find the one you are searching for, just click it and you’ll get the answers. If not go back and search for the next 10 pictures. You can switch between many different languages and return to the languages you played before without losing your progress. That’s all for PixWords Scenes Answers. Enjoy this addictive new brainteaser developed by Black Maple Games. Black Maple Games creates guess games like : PixWords, Magnetic Jigsaw, Slice Words, Words on Fridge, Behind the sticker, Point Words, Kuri Pets, Amazing Breaker Free, Horns & Tails and Amazing Breaker. This app. works perfectly on iPhone, iPad and Android. It can be downladed for free on Google Play and iTunes.